Google has published its fifth Android Security & Privacy Year in Review, this time looking back at 2018. While the report draws attention to some of the security and privacy improvements the company has made, it is not just about Google blowing its own trumpet. The report shows that payouts made through Google rewards programs — payments made to outside researchers and individuals for bringing security issues to the company’s attention — reached $3 million in 2018. Google also says that in the fourth quarter of the year, 84 percent more devices received a security update than in the same quarter in 2017. In 2018 only 0.08 percent of devices that used Google Play exclusively for app downloads were affected by PHAs. In contrast, devices that installed apps from outside of Google Play were affected by PHAs eight times more often. 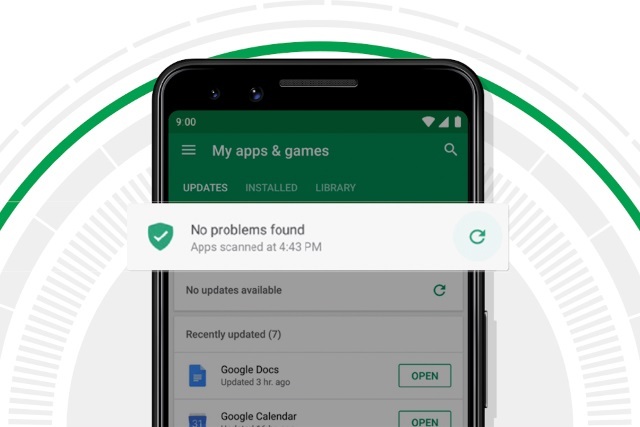 Compared to the previous year, even those devices saw a 15 percent reduction in malware due to the vigilance of Google Play Protect.